“Athletic Work Shoes.” That kind of sounds like a contradiction in terms, doesn’t it? After all, you can have a pair of athletic shoes. You can have a pair of work shoes. You can have just plain old men's shoes. But since when have the three concepts been ble ... (see full details) (see specifications) #TB0A1GT9065. “Athletic Work Shoes.” That kind of sounds like a contradiction in terms, doesn’t it? After all, you can have a pair of athletic shoes. You can have a pair of work shoes. You can have just plain old men's shoes. But since when have the three concepts been blended together? The answer is this: since now. Specifically, since Timberland took on the challenge of making three normal things into one amazing thing, and came up with the Timberland PRO Men's TB0A1GT9 065 Grey Powertrain Sport ESD Alloy Toe Athletic Work Shoes. The brand loaded them up with alloy safety toes for your protection, as well as electro-static dissipative properties to guard you even more. Anyhow, enough with the word play. It’s time to talk about the straight-up practical features of this exclusive pair of men’s footwear. 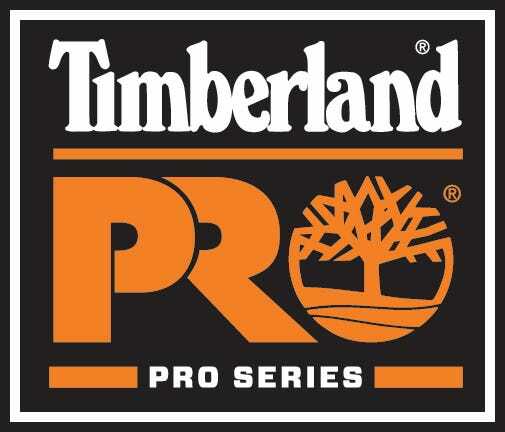 These Timberland PRO ESD shoes are made with the high quality materials and construction you’ve come to expect from a name like Timberland, and they’re suitable for conditions and situations ranging from weekend hikes to everyday job sites. Each of these men's alloy toe athletic shoes is constructed with a premium, durable grey Ripstop nylon upper with orange, decorated with a subtle, cool screen printed design in abrasion-resistant ink. Non-metallic shanks built into the men's Powertrain shoes provide tons of structural support without the weight (and potential workplace hazards) associated with metal. Inside, the Timberland PRO sport shoes are lined with a mesh fabric lining that has been treated with high-tech anti-microbial treatment, providing you with hours and days of superior odor control. Because sure footing is essential no matter what the terrain and task at hand, these athletic work shoes (there’s that phrase again) are fitted with Timberland’s exclusive conductive polyurethane outsoles, which provide consistent static-dissipative performance for added safety. They’re also designed with Anti-Fatigue Technology especially by Timberland to keep the spring in your step even when the going gets tough. This special Anti-Fatigue Technology includes molded, inverted cones that provide support, cushioning, and energy return. The unique BASF super lightweight PU balances low density with flexibility, traction, and comfort, so your steps are supported and cushioned properly. These rugged Timberland outsoles are also abrasion- and oil-resistant for enhanced durability and traction. Finally, these grey shoes feature built-in alloy safety toes built on TiTAN last, which have all of the compression and impact-resistant protection of traditional steel toes, but without the weight, metal components, and conductivity that often come along with steel. The end result is men's athletic footwear that’s simultaneously lightweight, comfortable, and long-lasting...good looking, too. Asking your men's shoes to do the job of three pairs is a lot to ask of them. If you’re going to ask that much from them, make sure you ask a pair that has the name, history, and high standards of a quality shoe name like Timberland behind it. Get yourself a pair of the Timberland PRO Men's TB0A1GT9 065 Grey Powertrain Sport ESD Alloy Toe Athletic Work Shoes from Working Person's Store, and enjoy hard-working work footwear times three. The shoes are absolutely fantastic! The order was processed with the utmost in communication and product delivery! I have recommended your site to several people already and will continue to do so. I am an experienced eBay seller, and buyer, and really admire an operation that functions as smoothly as yours! Keep up the good work! Timberland PRO Shoes: Men's TB0A1GT9 065 Grey ESD Alloy Toe Powertrain Sport Athletic Work Shoes is being added to your cart.